Four years with the Sydney University Dramatic society (2000-2004) offered plenty of opportunities to explore all aspects of theatre-making, from production management to directing, lighting design to writing. I discovered particular interests in musical composition and performance, dramaturgy and playwriting in these four years, and these skills have found several avenues for expression in my subsequent theatrical practice. My research into Roman theatre has also led to a fruitful intersection with creative practice. My translations of Platus' Menaechmi and Pseudolus were performed by the Melbourne Shakespeare Society in 2008 and 2012, and have been added to the curriculum at NIDA. I am currently working on prose translations of the complete works of Plautus and Seneca for performance. Please contact me if you would like copies of any translations for teaching or performance purposes. 2014: Dramaturg, The False Servant, Parade Theatres, NIDA. 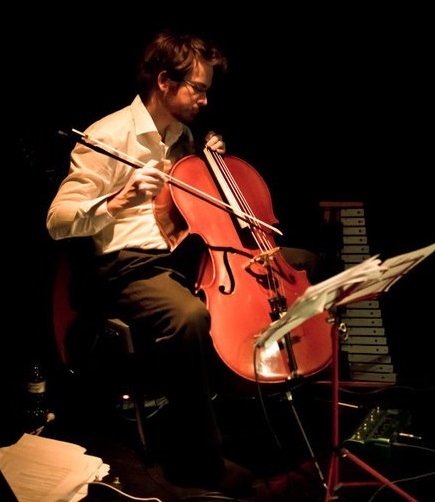 2013: Composer/musician, CuriousWorks’ A Cracking and Counting of Heads, Carriageworks (creative development). 2005-2007: Writer, performer and dramaturg, CuriousWorks’ The Migrant Project, a group-devised, large-scale hybrid contemporary performance work with four performance seasons in Sydney and Canberra. 2004: Co-writer and co-director, also composer and musician, CuriousWorks’ The Raven and the Writing Desk, Seymour Centre Downstairs, Chippendale. 2003: Musician/composer, ricochet theatre’s The Rules of the Game, Darlinghurst Theatre.